We are the most efficient method of making crowns using our state of the art technology called the Cerec. Using this new technology we can create your crowns in the same day allowing for convenience. We are one of the few Greensboro dentists that have this capability and we cultivate this efficiency specifically for our patients. We are capable of performing porcelain crowns as well as metal crowns for whatever the customer preference may be. We have a team dedicated to patient well being and we will get your crowns done within the same day. Here at the smile center we understand that going to the dentist can be an unnerving experience. For those high anxiety and high fear patients we have a solution. We have the capability to use sedation techniques to perform procedures without the customer ever experiencing the drill and fill anxiety accompanied with the dentist. We have been using sedation techniques for years and have become adept at making sure that the patient never feels a thing. If you have work that you are afraid of pursuing due to the possibility of a painful experience, here at the Adams Farm Dental we can solve your problems. There are only a few raleigh dentists that do sedation in the triangle area but we want to make sure that we make this a positive experience for you. Oral sedation is a great alternative to IV sedation. It is advantageous for patients who are afraid of needles. Dr. Jones has learned how to do oral sedation for that subpopulation of patients who cannot tolerate IV sedation. We care about your well being and we, at Adams Farm Dental, want to make sure that your dental experience is optimized. 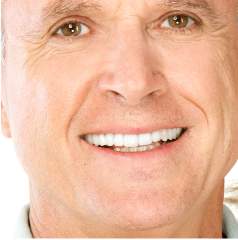 Implants: At Adams Farm Dental we can do all sorts of interventions to make your smile the perfect smile. Implants are just another way of making sure you are on your way to dental perfection. Have no fear as the dentists at Adams Farm Dental are capable of placing implants with the help of radiological and surgical precision making any smile a beautiful smile. For those who are anxious we also have the option for sedation techniques so that the entire procedure can be done before you wake up. It’ll be almost like it never happened. When you wake up you will never be afraid to show your pearly whites! No other raleigh dentists take the time to make sure that the Implants are done correctly, and precisely. Teeth Whitening: We also do Teeth Whitening too. We have different methods to whiten teeth that have been stained by coffee, smoking, chewing tobacco, and all sorts of other offending agents. We can use our trays to create a whitening effect that will have your teeth shining. We also have machines used specifically for teeth whitening that can take on even the toughest stains. Our dental staff if proficient and has been performing these techniques for years. Teeth Cleaning: The gentle hands of our hygienists never fail. We employ the best hygienists in the area to heighten the patient experience. We have a staff that is able to apply sealants for the children as well as polish your teeth for that shining finishing touch. We can apply fluoride and perform exams so that you be out of there in a flash and back to work in no time. Soft Tissue Graft: For those who have had a receding gum line due to smoking, tobacco chewing or natural causes we do offer soft tissue grafting to replace the gum line and give you the most natural looking smile possible. Sinus Lift: For those select patients who have a low lying sinus that could complicate implantation there are options for a Sinus Lift. This procedure allows the dentist to complete the implant without complication. Most Greensboro dentists cannot perform this procedure but here at Adams Farm Dental we can perform this surgery with sedation. Scale and Root Planing: For those select patients who do have extensive gum disease found during the initial exam scalings can be important to clear the mouth of excess debris and buildup to prevent from further complications of gum disease. Our hygienists are skilled and ready to perform this procedure so do not hesitate to visit us. Emergency Dentistry: We understand that sometimes we need to see a dentist at a moments notice if we have unbearable tooth pain. Here at Adams Farm Dental we answer those emergency calls to make sure that our patients will taken care of in the short term. Feel free to call us for an evaluation on any day of the week and we will be there to help. Fillings: At Adams Farm Dental we are no stranger to fillings. If you need a filling but are afraid of having the numbing injections we use a wand to minimize the pain caused during the procedure. If this still is not sufficient we can also anesthetize in order to make sure that you have every available option for treatment. We also use clear filling in order to make sure that the aesthetics of the tooth are exact. Sealants: Mainly used in children, sealants are one of the best ways we, as a dental office, can prevent cavities from forming on your child's teeth. We take great care with kids to make sure that they are protected from any sort of harm to their teeth. With education from Dr. Jones your child will be able to leave with knowledge for how to prevent cavities. Sealants will be that extra special thing that will protect your child's teeth so that when they receive adult teeth they will be ready for the responsibility. Space Maintainers: Also great for children who have to have their baby teeth extracted to make room for permanent teeth in order to save the space. Our dentists have gentle hands that are able to work on children’s teeth with care in order to make sure the permanent tooth comes in the best possible position. Clear Correct Orthodontics: We also do Clear Correct Orthodontics due to the fact that Dr. Jones is certified to do these procedures through a rigorous training process. Our mission is to create a smile that can be displayed for the world to see with confidence and pride. Through our orthodontics initiative we have seen impeccable results with the patients that follow with our office. With our Clear Correct Orthodontic material it will be tough to tell that you are even wearing braces. Come by and ask us about our Clear Correct and you will not be disappointed. Regular Orthodontics: If you are looking for traditional orthodontics then Dr. Jones is your guy. He has certifications in Regular Orthodontics as well and is able to work with brackets to make any smile tailored to perfection. Even if you are currently seeing an Orthodontist we can integrate you into the practice and make your smile as good as new. It is rare to see a raleigh dentist with as much versatility as Dr. Jones. Root Canal: Dr. Jones has been doing root canals for decades now and has perfected the art of the trade. He has employed microscopic surgical guidance to be able to make sure he can operate with precision. Pain alleviation is the key to this procedure and only microscopic guidance can result in such great results. Here at the smile center we will be able to operate on any tooth with any sort of pain scale. Arrestin: Dr. Jones and his staff have been deploying arrestin for years. Arrestin is an antibiotic treatment for the gums that is able to stop periodontal disease in its tracks. Periodontal disease can lead to bleeding gums, pain and deeper wound infections if not treated immediately. That is why it is imperative to go to the right dentist to get taken care of. Surgical Extractions: Here at the Adams Farm Dental we understand that surgical extractions can cause high anxiety. For this very reason we have the option to use a wand or a syringe for numbing. The wand is a smooth way to administer numbing medication into a specific area of the mouth without the same painful twinge as an injection. We understand the plight that patients go through and we work to make this as comfortable of an experience as possible. This is part of our dental philosophy at the Adams Farm Dental. Impacted Wisdom Tooth Extraction: Wisdom tooth extraction can be a tricky process and should always be handled with care by a trained professional. Dr. Jones is more than seasoned with two decades of dental experience. He is certified to take out wisdom teeth and has been doing so for quite some time now. With his arsenal of techniques as well as oral or IV sedation Dr. Jones can take on any case that may need to be done in order to relieve pain. Dr. Jones has the state of the art equipment that is necessary for wisdom tooth removal. His assistants are trained to use sedation and Dr. Jones and our staff can perform the procedure without you ever feeling a thing. If you would like a low anxiety, low stress, low risk procedure to be done, then the smile center is where you need to come. Open and Drainage: If you have an abscess that needs to be taken care of then check out Adams Farm Dental. We will be able to take care of any lumps and bumps in your mouth in no time. If you have another dentist then we can do it better. 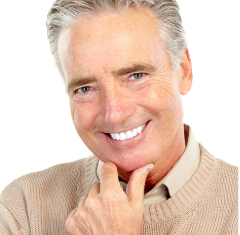 No other Greensboro dentist can drain like our dentists here at the Greensboro. Ask us about our rates to see if we can beat other dentist’s prices. Comprehensive Exam: Our staff is efficient at making the healthiest smile possible. The comprehensive exam is the best way to assess how your smile is the first time you come in. Our staff is thorough and well equipped in order to do a proper exam. We want to ensure that we never miss any cancer, decay or other adverse issues.